Nothing draws people to a website better than list-based articles, so in the interest of boosting my pageviews, I’m publishing my own listicles here on my page. 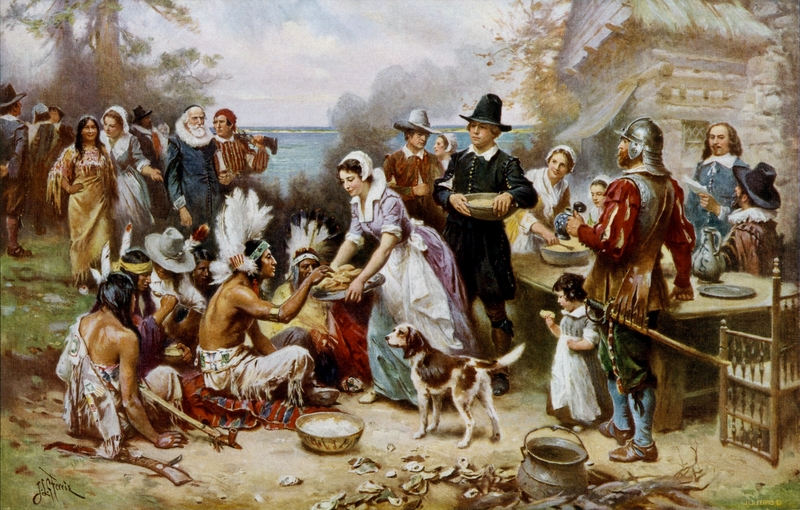 In this post I examine the most common misconceptions about Thanksgiving’s historical roots. False! 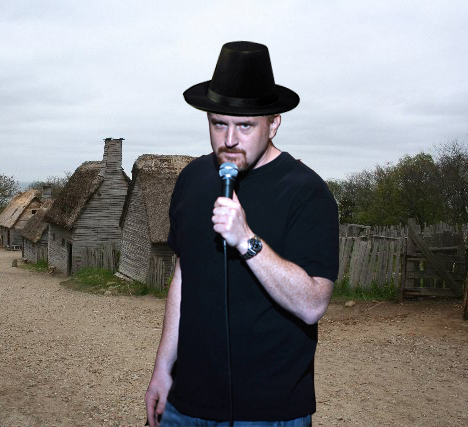 Actually, the Mayflower first made landfall on Cape Cod, in the vicinity of what is now modern-day Provincetown, where the Pilgrims were welcomed by a tribe of flamingly homosexual Native Americans. The tribe provided food and shelter to the European newcomers, aid which was sorely needed in the aftermath of a long sea voyage. 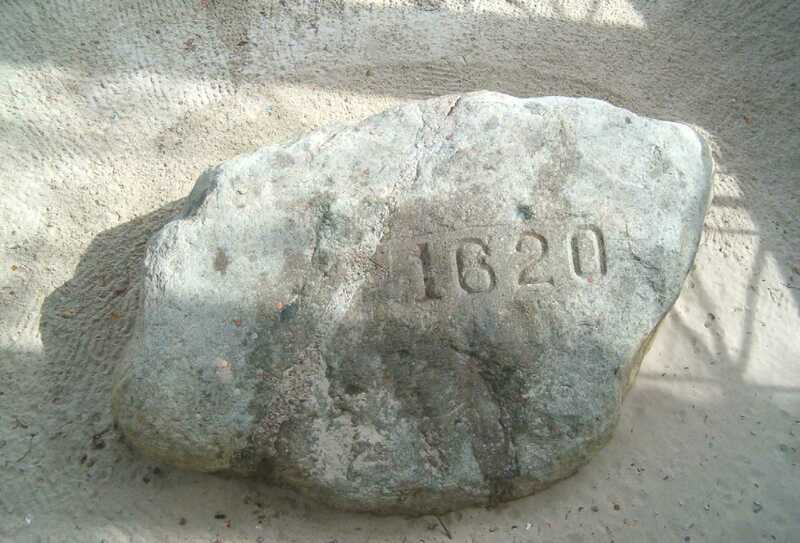 Plymouth Rock actually marks the site of the mass grave in which the helpful natives’ corpses were interred after the colonists enslaved them and infected them with smallpox. Their noble sacrifice shall not be forgotten! 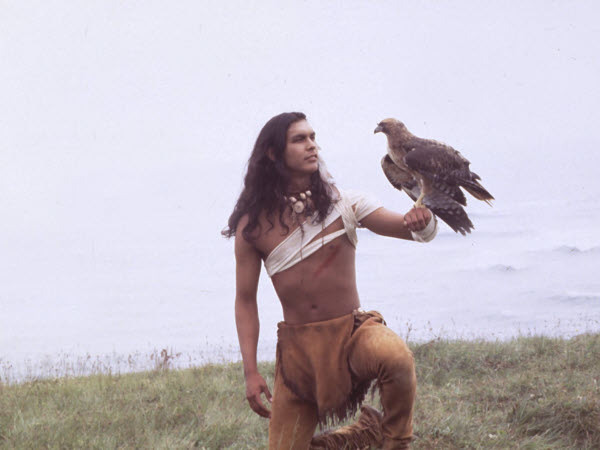 Before immolating himself in an act of penitential ritual suicide, Squanto placed a curse on the colony, vowing to return from the grave to exact bloody revenge on the descendants of the white men who brutally decimated his people. 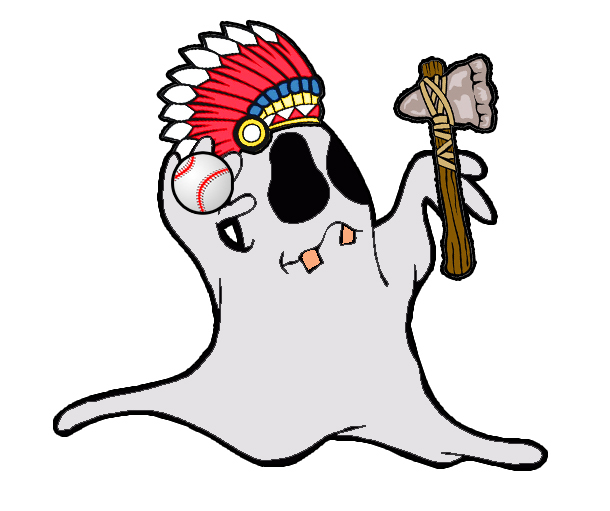 This curse provided the inspiration for the name and mascot of Plymouth’s minor league baseball team, the Phantom Injuns. This is another myth that does contain a grain of truth. Americans did at one time wear buckles on their clothes, but this did not become fashionable until the late 17th century, long after the first Thanksgiving in 1621. 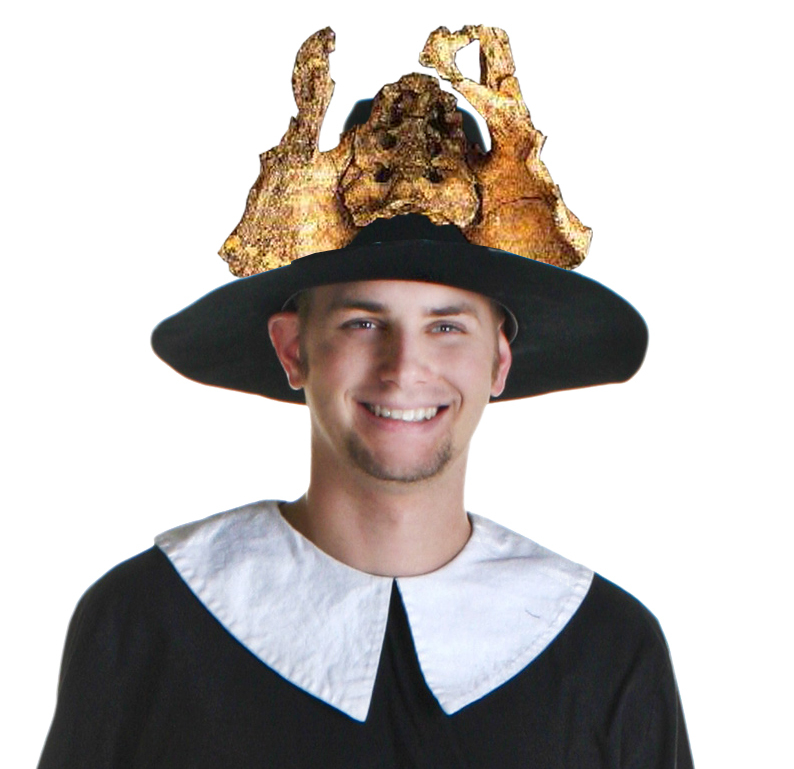 At that time, the only adornments considered socially acceptable for a Pilgrim to wear were the dismembered remains of local natives that he or she had killed. 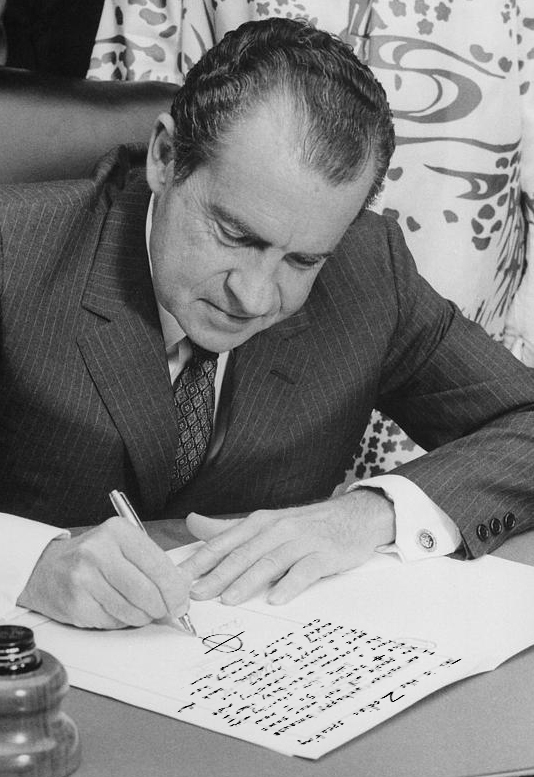 Thanksgiving would not come to be associated with fall until 1972, when Richard Nixon relocated the holiday to November in a successful attempt to distract the public from rumors that he was behind San Francisco’s notorious “Zodiac” killings. Almost certainly false. 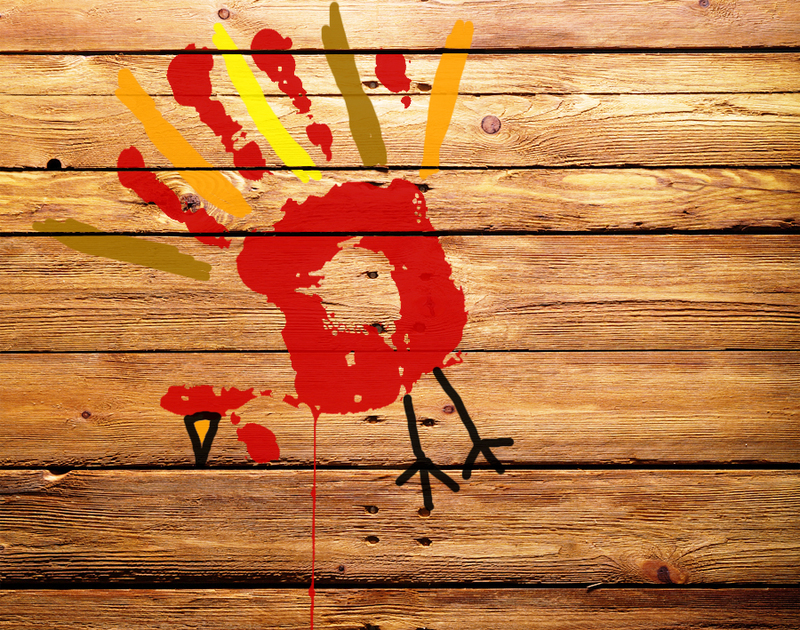 If the Pilgrims served any fowl at all, it’s more likely to have been geese, bald eagles or perhaps large sparrows. Seafood such as eel and spider crab may have been on the menu as well, but the entree was of course the local natives, who selflessly offered themselves up to be involuntarily killed and eaten. 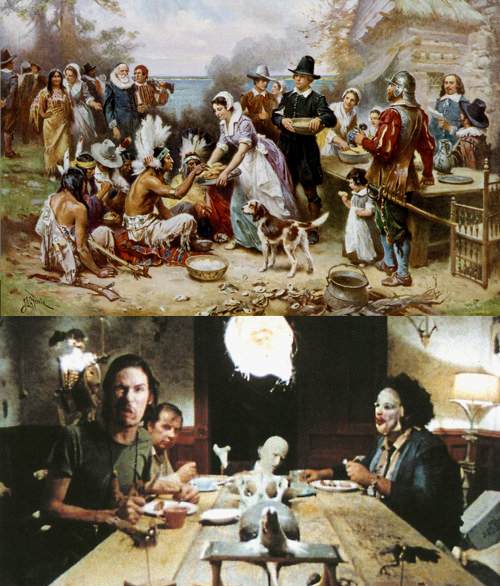 In a sense, the tribesmen were the feast’s guests of honor; many of them were seated at the banquet table immediately prior to being devoured, as it was believed that fattening them up and keeping them alive for as long as possible would keep their meat fresh and flavorful. ← Upcoming Show: November’s House Party 5!